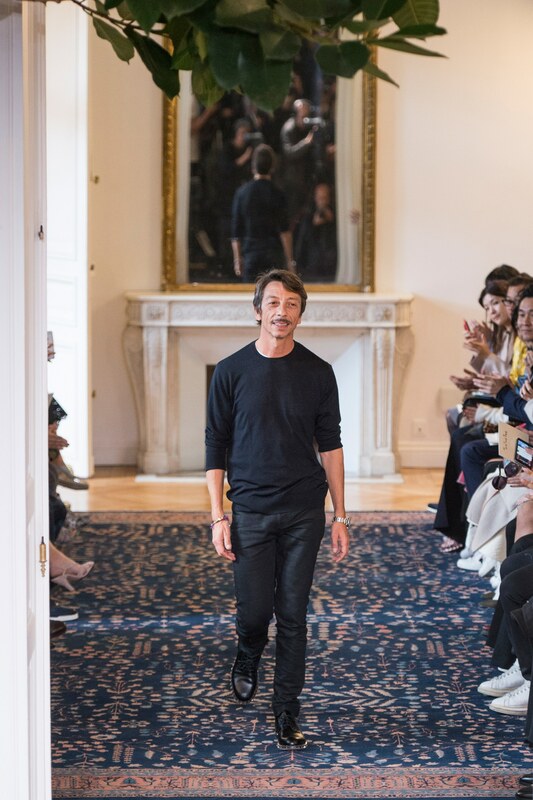 When Pierpaolo Piccioli made his debut as the solo creative director of Maison Valentino with his Spring/Summer 2017 ready-to-wear collection, he drew on a few unexpected references: Hieronymous Bosch's triptych The Garden of Earthly Delights, for one, and 1970s-era British designer Zandra Rhodes, for another. Rhodes, in fact, was seated in Piccioli's front row. 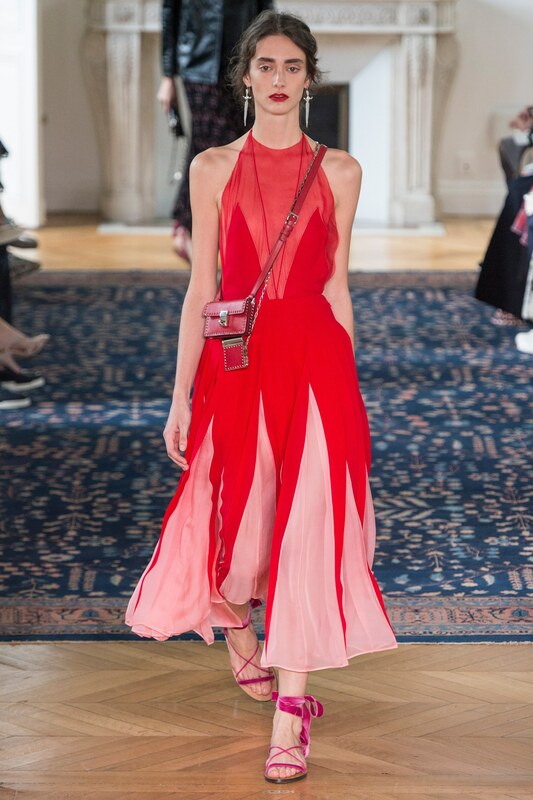 But the key inspiration for Piccioli's gorgeous collection—"mouthwatering," as Sarah Mower put it in her review for American Vogue—was the work of another creative titan watching the show from pride-of-place at the Hôtel Salomon de Rothschild in Paris. That titan was Mr. Valentino himself, of course. This was a collection steeped in the history of Valentino, from its generous helpings of signature Valentino red, to the variety and artistry of the looks' surface embellishment. Piccioli has his own, sui generis take on embroidery—witness the ultra-fine, illustration-like decoration in the Spring outing—but the sense of specificity and emphasis on hand-craftsmanship has been a Valentino hallmark from the house's earliest days. Much the same could be said for Piccioli's approach to elegance: Though his proportions differ from Mr. Valentino's, he aims for the same timeless high tone. Perhaps the most noticeable tip-of-the-hat to the Valentino archive, though, was Piccioli's focus, for Spring, on looks for day. Mr. Valentino is justly famous for his gowns, but in his heyday his store was also a go-to for luxe separates and sportswear, and Piccioli revived that tradition. Draped tunic-and-trouser sets, sharply-cut outerwear, and trousers in regal fabrications such as devoré velvet and brocade paid oblique homage to the Valentino woman who relied on the maison to bring a sense of glamour to the clothes she wore when she was on the hoof. "In short," Mower wrote in her review, "he aced it, not only meeting expectations but surpassing them, too." 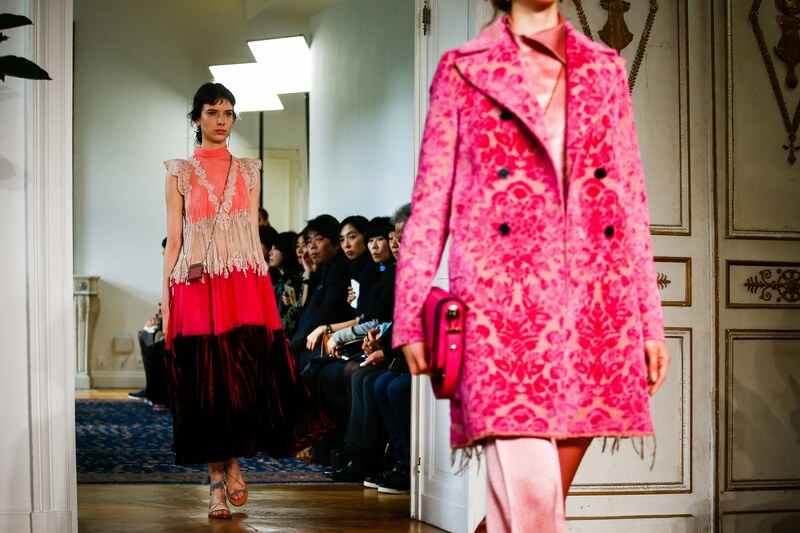 No wonder everyone's waited with bated breath to see what Pierpaolo Piccioli does for Fall.